It was our first time capturing a wedding at the Grove and just have to say it was amazing. 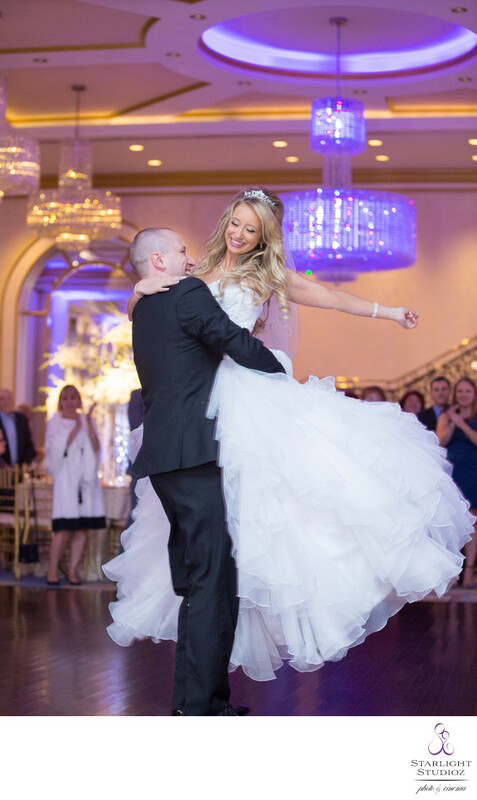 The hall is absolutely gorgeous and we were able to take beautiful photos of the bride and groom in front of the venue once we arrived with the limo provided by VIP Limousine & Tuxedo then headed outback to take photos with the bridal party. There is a little little house in the back of the venue for picture taking as well as a grassy area. At the Grove premises the greenery and trees were the perfect backdrop of our couple Taisiya & Vitaliy. They wanted some fun photos with a white just married umbrella so we did that as well as silhouette photos. We primarily enjoy capturing The Wedding decor and flowers for the ceremony were provided by In Flowers from Brooklyn, NY. One of the managers from the grove did a wonderful job officiating the wedding ceremony and vows. Our lovely couple Taisiya & Vitaliy shared sweet vows to one another during this unforgettable ceremony. We had time to capture the couple in the main ballroom before the reception began. The grooms best friend gifted them with a gobo that was located above their sweetheart table designed by the DJ Alex Edge. We love working his amazing crew and know that the reception will be outstanding when the music is in his hands. The Grove ballroom where this photo was taken was light with these grand chandeliers and high ceilings. Each picture in their wedding photo gallery was sheer perfection. Location: 691 Pompton Ave, Cedar Grove, NJ 07009 .